Located in the heart of horse country and Kentucky&apos;s famous scenic Bluegrass region, Lexington offers fresh possibilities for your signature group tour. It could be the trip of a lifetime. See the tabs above for suggested itineraries in the Horse Capital of the World, plus special packages and events for groups. If you would like information beyond what is included in our web site, just register for more information or consult with us at 800-848-1224. Blue Grass Airport, just 10 minutes from downtown. The Northern Kentucky/Cincinnati International Airport is just 83 miles away via I-75, and the Louisville International Airport about 83 miles to the west via I-64. 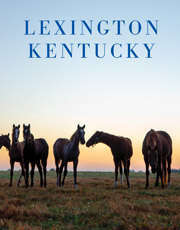 Lexington&apos;s beauty and activities span the four seasons. Meet past and future Kentucky Derby winners and get a behind-the-scenes look at the multi-billion dollar Thoroughbred industry on personalized horse farm tours. 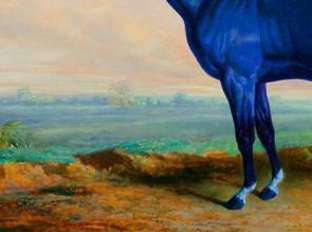 Visit The Kentucky Horse Park, the world&apos;s only state park dedicated to the horse. Get a taste of the racing industry with Keeneland Race Course&apos;s early morning workouts and breakfast at the Track Kitchen. Arrange a hub-and-spoke tour to nearby Shaker Village of Pleasant Hill, the nation&apos;s largest restored Shaker Village community. Enjoy afternoon teas and garden tours while exploring historic homes. Explore the area&apos;s Civil War sites or take an educational distillery tour and learn the history of bourbon. Plan an antique shopping excursion among over 200 area stores. We&apos;d be pleased to help you with suggested itineraries. For effortless planning, take a look at this page with pre-priced entertainment packages for group tours. Celebrate Derby Day in Lexington at Keeneland Race Course or experience the spectacular light displays at Southern Lights this winter; and be sure to fill seats on your motorcoach! Learn more here. Looking for a Group Friendly Restaurant? We know that finding dining options for a group might be challenging. Call us for suggestions. See this link for a list of restaurants that have a private dining room suitable for a group. Need a step-on guide for your motorcoach? Whether you want to explore Lexington&apos;s rich history, or learn just why Lexington is known as the horse capital of the world, a step-on guide can add a special dimension to your group&apos;s experience of the Bluegrass Region. From attractions, to group-friendly dining, unique venues, transportation options, and shopping, this website is a wonderful resource for group travel leaders. But we&apos;d love to consult with you in person about your plans to visit the Horse Capital of the World. Just give us a call at 800-848-1224.